Labyrinth formed by fingers of air invading a mixture of glass beads and water in a Hele-Shaw cell. 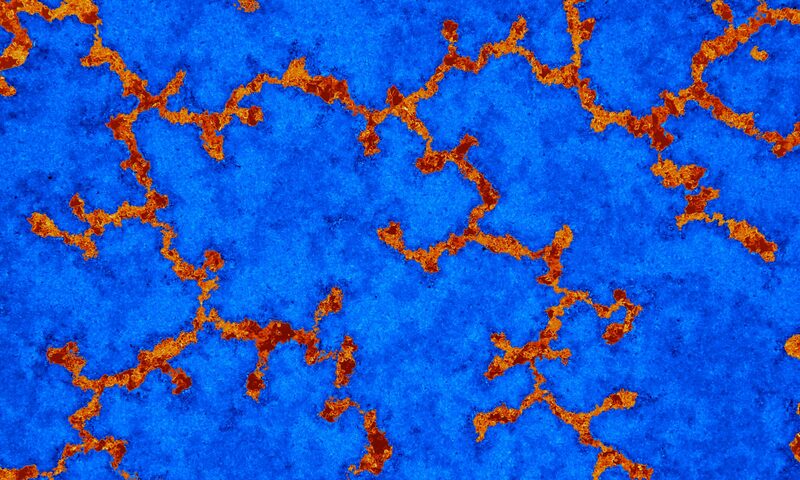 Complex, branching fracture pattern in a system of nothing more than air, sand and water. Campbell et al., Gas-driven fracturing of saturated granular media. Phys. Rev. Appl. 8, 064029 (2017). Vertical, horizontal and random patterns of frictional fingers in a gravitational potential. Injection of air into a water-saturated bed of grains causes fracturing and deformation of the granular packing. Sandnes et al. 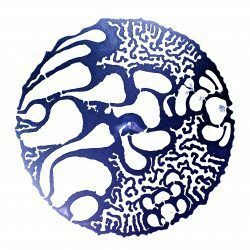 Patterns and flow in frictional fluids. Nature Commun. 2:288 (2011). Simultaneous flow of gas, liquid and grains produces a spectacular variation in flow patterns. Here, air is injected into a grain-fluid mixture, with the injection rate increasing from left to right. Simulation of granular material on a conveyor belt piling up against a side wall. Arching effects produces a complex frictional response in the compaction zone. Marks et al. Compaction of granular material inside confined geometries. Frontiers in Physics 3, 41 (2015). When carbon dioxide dissolves in water, the increased density sets up a convective flow pattern that accelerates the rate of CO2 uptake in geologic sequestration processes. Plugs of granular material clogging up a tube. The tube is initially filled with water and grains, and the plugs are shaped by a moving meniscus as air invades from left to right.